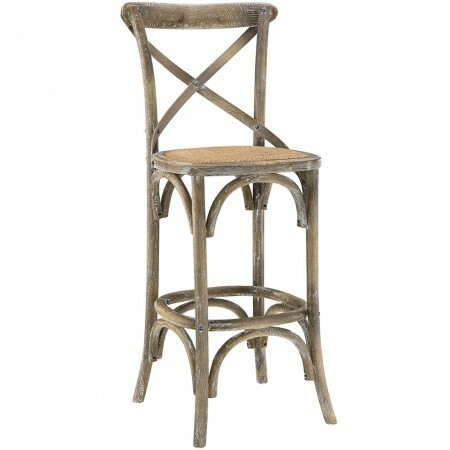 Gear wood bar stools in grey vintage finish classic country style. Made of wood comfortable and seat completed by brown wicker pattern seat. Fully assembled these bar stools are available in five different colors. Wood legs with footrest are padded to protect your floors.